"Duane, you don't need to be doing that." Kim said. "Pull over and let me drive. It's my car, now pull it over!" Uh-oh. I'm wondering why Duane shouldn't be driving. Sounds like something bad is about to happen! Interesting; I'm curious what's happening and why. We do love us some Allman Brothers around here….food Southern rock! I want to read it! Thanks for hosting! Sounds interesting. I want to know what happens next. ooooh...someone's very bossy...what's going on? What's the issue with him driving? I hope you are enjoying the book. Happy reading! I've heard about this book. I'm definitely curious about it. Thanks for sharing. and I wonder why are they arguing about who should be driving. Who are the Allmans and why are they arguing about driving? Hmm. Allman Brothers? Nonfiction? I am intrigued. I'm wondering if she means he shouldn't be driving or he shouldn't be doing whatever it it he's up to. I wonder the same thing laura. 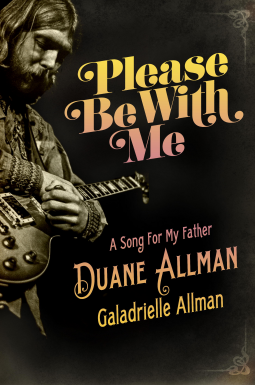 I don't read a lot of biographies, but the Allman brothers is one I would put on my TBR list.